Step by step instruction on how to apply a slide master to an existing PowerPoint presentation. 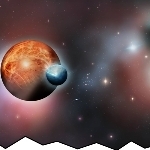 Learn how to create a ‘torn edge’ effect in a PowerPoint presentation. 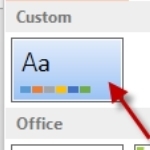 Learn how to how to apply a slide master to an existing PowerPoint presentation. PowerPoint expert Ellen Finkelstein explains how to use SmartArt to make your PowerPoint slides more visually attractive. A PowerPoint expert shares 7 easy ways to improve your presentation slides. A PowerPoint expert shares her guidelines for the best possible presentation slides. How to use a remote to start a video in a PowerPoint presentation. Is your text the most important part of you presentation? 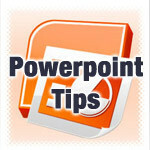 Learn how to use text as a PowerPoint graphic. 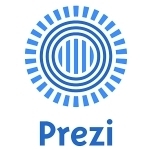 PowerPoint expert Ellen Finkelstein points us to a Free PowerPoint alternative that is generating quite a bit of buzz. 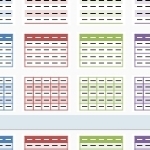 Learn how to automate a table or chart in Microsoft PowerPoint. 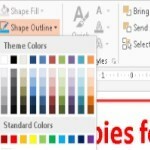 The multiple formatting features in PowerPoint can be used to create great graphics. 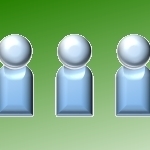 Any time you have 3 or more similar objects on a PowerPoint slide, you may want to make them equidistant. Stop using Microsoft Word to make posters, PowerPoint offers more graphic features and greater flexibility in placing your text and images. How to create PowerPoint charts that compare 2 very different types of data (2 Y-axes and 2 chart types). Most of you have a version of Office that you installed on your computer. 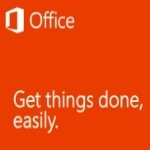 You know it as Office 2003, 2007, 2010 or (if you have a Mac) 2004, 2008, or 2011. Now, there’s a new number, 365.